...but maybe pictures can. Lots and lots of pictures. I have set up an impromptu photo shoot on my roommate's futon, utilizing one of my blankets to cover everything up instead of moving it. I thought we should start this post on a classy note. Warning: Prepare yourselves. This could get ugly. Here we go. I got a package in the mail yesterday. 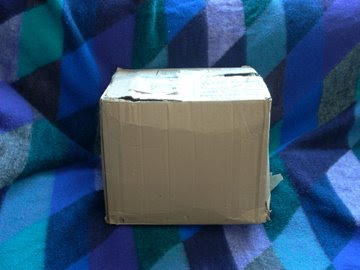 It was a big package. I wasn't expecting anything. It even had my name on it, so I knew it was for me. 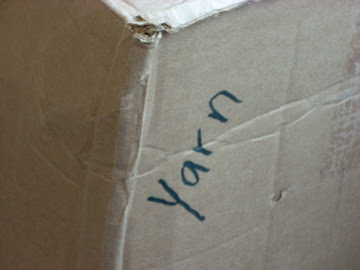 Better yet, it had the word "yarn" scribbled inconspicuously on one of the sides. The package was from my sister. Can you guess what was inside? 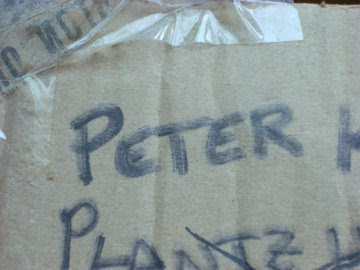 For the remainder of the post, I will attempt to thoroughly document my experience when I initially opened this box. As I stated above, it could get ugly. 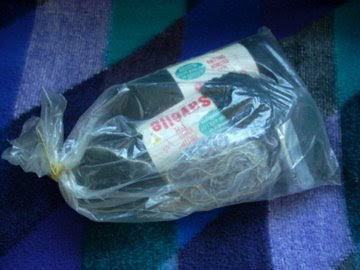 Bag #1: The discoloration of the bag tells me that this is old. Really old. Ribbon. 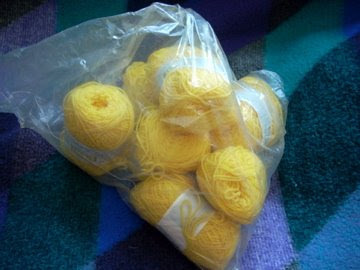 For knitting. 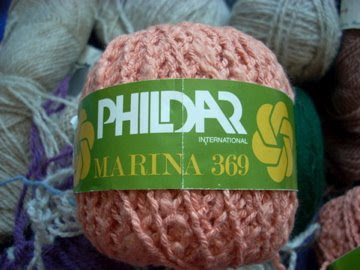 Knitting ribbon. 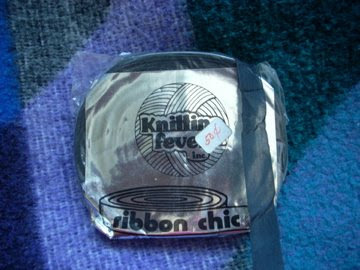 Knitting fever ribbon chic. Is this a sick joke?! Uh. Other stuff. I don't even know. 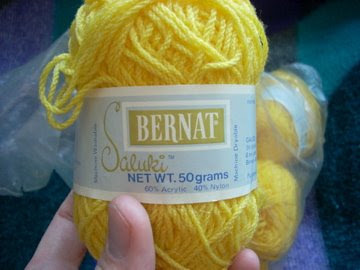 Bag #2: Brought to you by the color "brite yellow"
I'm not going to lie, I kind of liked saying "salookeee". 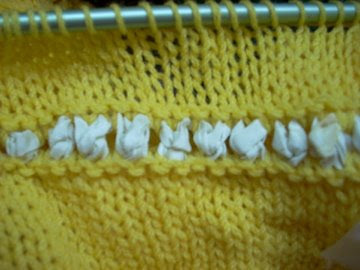 This time the yellow was accompanied by a beautiful half finished sweater back. I think the rows of ribbon eyelets really add a nice touch. I'm not sure you can tell, but the needles are a bit rusty, and the ribbon is becoming discolored. It's a shame they didn't include some more of that ribbon. How am I supposed to finish the sweater? Bag #4: A wide assortment of nasty. For being 100% cotton, that is some ugly stuff. Yeah, I judged it. 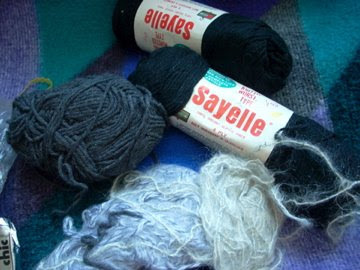 Some of the other yarn sported sayings such as "authentic wool". Excuse me, what? I think these knitted things are supposed to be parts of a sweater. 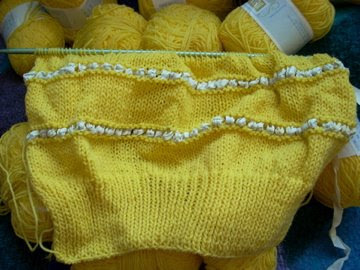 Maybe two backs for a baby sweater? If I'm not mistaken, only one is needed. Please note the inclusion of a book of matches, a nail file, and two rusty stitch holders. Now we get to the contents that weren't contained within a bag. 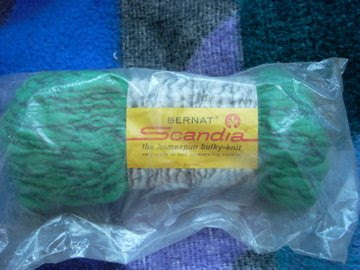 First, we have two skeins of "the homespun bulky-knit." Each individually sealed within its own bag, naturally. Then there was the tape measurer that fell to pieces when I picked it up. Dust and all. It was amazing. 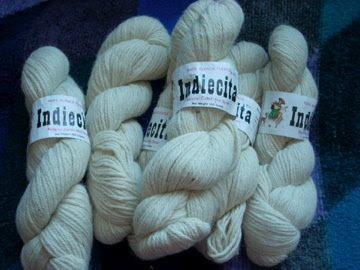 Six skeins of undyed yarn. I think with a good washing it might have some potential. ... and the rest of it. 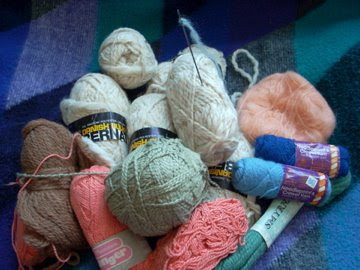 Please note that in addition to this yarn, there is a ginormous sewing/darning/some sort of craft needle sticking out of one skein, as well as some needlepoint yarn and a small skein of "rug yarn". Oh, and my personal favorite. I'm calling it a portable hand pillow. She had gone out to dinner with her old landlord and at some point the topic came up. Landlord: "Do you see that big box sitting outside of the restaurant?" 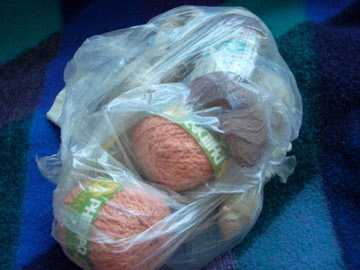 Landlord: "That's for your brother, the one that likes yarn." So, my sister did what any nice person would and sent me the box without really looking inside. Don't worry, the landlord assures me via my sister that there are TWENTY more boxes where that one came from. Oy vey! 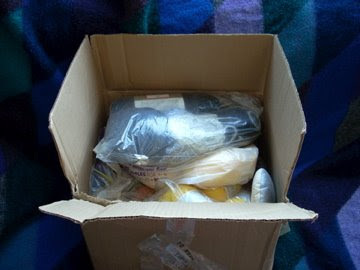 I suppose I should note that I did in fact pull a few skeins from this box and plan to at least wash them and decide if they are at all useable. 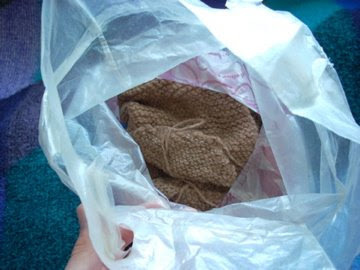 I then Purell-ed the crap out of myself and threw that blanket in the wash. I still feel dirty. 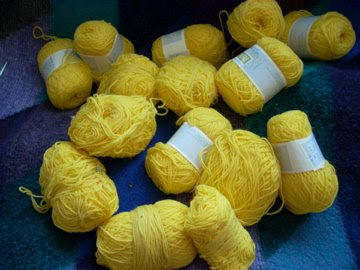 You should totally knit a sweater out of that yellow, it would be epic! The "hand pillow" thing looks like it might be the kind of pincushion that a seamstress can strap to her hand so it's always handy...though it is hard to tell from the pics. Reading your blog post made my skin crawl. And you have 20 more boxes to look forward to! 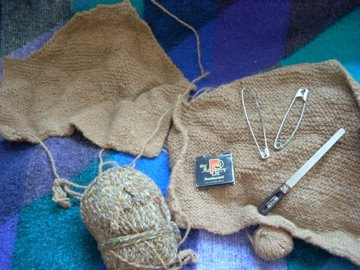 Think of all the squares you can make for a charity afghan!!!! 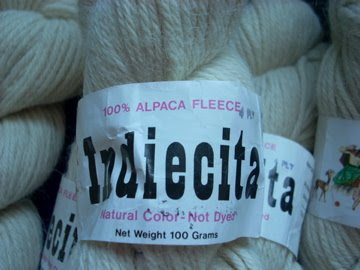 I am actually using that brand of alpaca right now (well, I would be if the project were active, but let's not mention that part of it) and it's not bad stuff -- when it's clean. Oh, and also -- I can't believe you put that thing near your face, dude. I feel the need to state for the record that I am NOT the sister in question here. 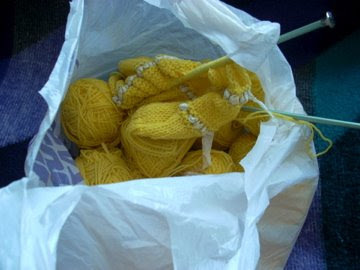 I would NEVER do that to another knitter! And Dave, I said the same thing to him--I can't believe he actually touched his face with that thing!!! 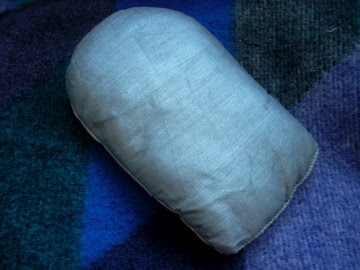 o m g - I am still laughing about the hand pillow. The photo is classic. 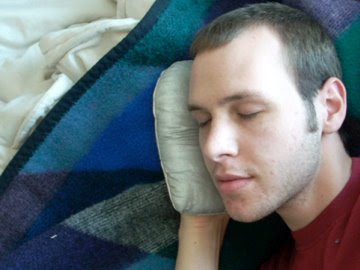 that 'hand pillow' is for pressing. 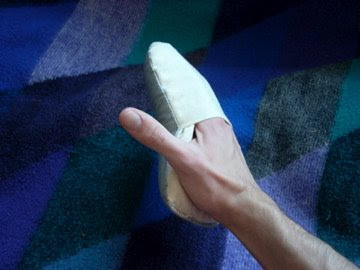 if you have a weird spot that you need to get your hand inside and press (maybe you want to set a sleeve cap or something), you use that (i can't remember what it's officially called). i use an oven mitt. Burn test the unlabeled yarn; some of it may be wool. There's probably a thrift shop near you that will give you a tax credit receipt for donating what you don't want. 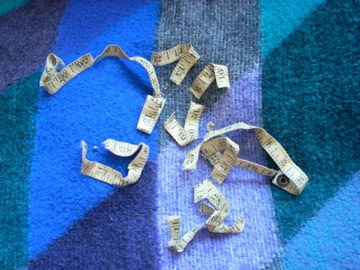 The measuring tape that fell apart from age has blown my mind. Your post was hilarious. My aunt sometimes sends me "care packages" like this. LOL! Omg, how funny and disappointing!